Fortnite is chock full of mystery right now. The sky has broken and weirdness is on the loose. In this week’s ‘Shop Contest, we’re going to get even stranger. 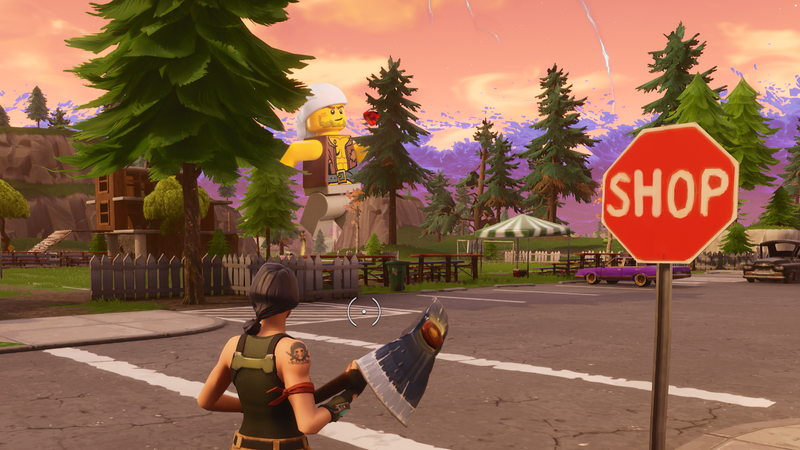 Things are blinking out of existence within Fortnite, and some of them are even appearing in our world, so there is literally nothing that could happen that would surprise me in the game. Your task this week is to push my assumption to the limit. I want very weird stuff to be put into Fortnite. New characters? A weird building? The castle from Castlevania just, you know, appearing? You could shop a battle between your favorite webhead and some of the superheroes from Fortnite’s last season. This is truly an open contest, and I want you to be as creative as you can with it. If you’re truly industrious, maybe put some Fortnite objects into our reality. Here’s a tip: you can go into the settings in Fortnite and hide the UI. As always, good luck! I am looking forward to seeing spaceships and real-world garbage trucks full of scrap from Tilted Towers. The rest of the instructions are below.